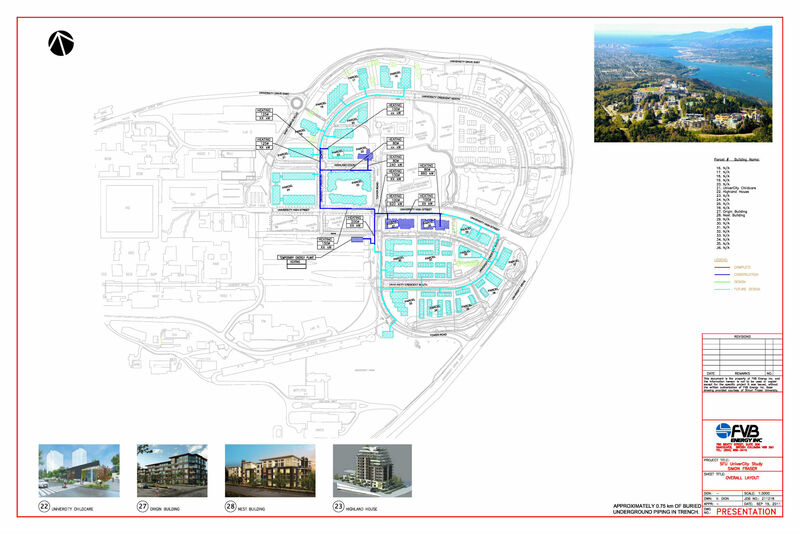 In 2011, FVB performed design and construction support services for the new residential development UniverCity, located at Simon Fraser University (SFU) in Burnaby, BC. FVB Energy provided engineering consulting services for design of a stand-alone 1.8 MW interim plant enclosed in a Seacan container. The interim plant services the initial build out via 800 trench meters of piping connected to three building ETS’s at SFU. 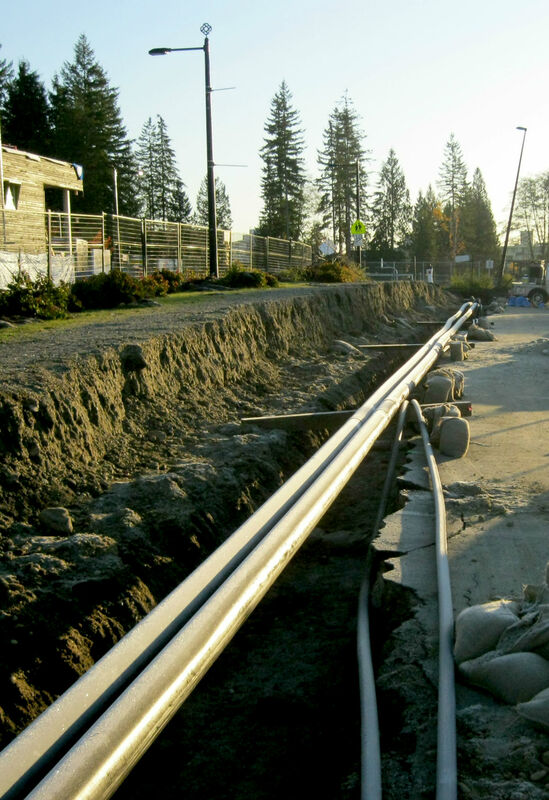 The hot water district energy system at SFU has been operational since fall 2011. Since 2011, FVB has provided design and construction support for 2 additional ETSs that have been connected. In this project and with others, FVB brought in a highly experienced team of district energy consultants to complete the task without sacrificing costs or schedule. When customer load reaches sufficient volume, a permanent biomass-based central energy plant will be installed for the SFU Neighbourhood Utility Service (NUS). This step is seen as a very important step for the project and SFU as it will add a renewable energy component to further decrease the carbon footprint of the already sustainable development. The addition of the biomass plant and associated load will also reduce the overall cost of service to the customer.